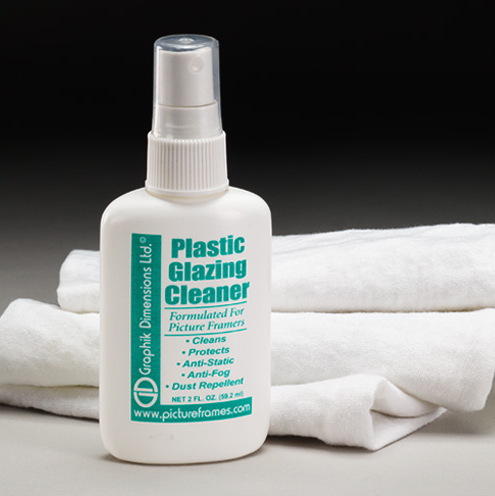 Our Acrylic Glazing Cleaner cleans, shines and protects your acrylic glazing. It's antifog, antistatic, dust repellent and is formulated for all acrylic and plastic surfaces. Available in 8oz. or 2oz. mist bottles, or a pack of 10 individually-wrapped wipes (perfect for shows, or anytime you're on the go).